This article discusses what is hospitality Industry and how did we reach this phase of hospitality. We will also take a sneak peek of the historical background of the hospitality industry. Sounds boring, eh! Let’s make it a bit interesting. Let’s throw in a few exclusive pictures for you and let’s try and make you feel nostalgic while going down the memory lane of the hospitality industry. We all love to travel around the world. Our world has scenic places in abundance but, would it not have been difficult to travel if there were no places to stay or nothing to eat. 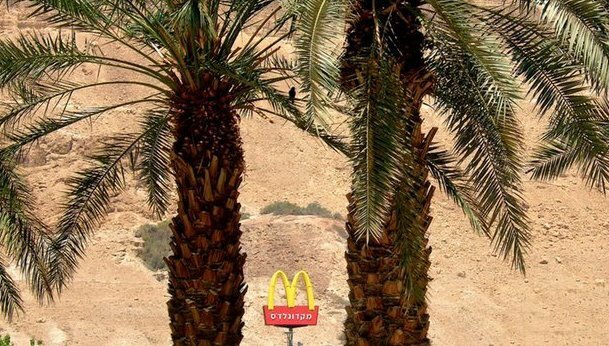 Think of travelling the Negev Desert in Israel and you find a McDonald’s exactly when you needed a gulp of chilled coke with some fries giving your calorie calculator a break. Or, think of visiting a remote location of Greenland with enthralling natural beauty all around. But, you need something to munch as your tummy refuses to hold on any further. And, you find a McDonald’s right there. What a relief, isn’t it? Indeed, the hospitality industry has been the unifying force making our world a global village. It is this industry that keeps on inspiring us to travel more and unite with different cultures. Keep travelling guys as we are all nomads from the heart and soul. But, we take an opportunity to thank through this article, the hospitality industry and all those who are involved in this industry for making this world a more beautiful place to live and travel. This is one of the basic questions we overlook at times while discussing the hospitality industry or its history and background. What is hospitality industry? Did you ever think what is the origin of the word ‘hospitality’? We have been using it ever since it came across without much of a thought on its origin. Who cares as far as we know what it is all about. Isn’t it? But, for those who would like to know the meaning of hospitality, the word hospitality is an adaptation of a French word. The French word ‘hospice’ has been adapted to form the word ‘hospitality’ that means taking care of the travellers. The original word is still retained by a lot of organisations especially the care organisations and hospitals around the globe. It still carries the inherent message of ‘love and care’ through the word hospitality. Hospitality at its core is about taking care, pampering and helping others. We can define the hospitality industry as a broad range of fields within the service sector that revolves around lodging, theme parks, transportation, cruise lines, event planning and a plethora of other services geared towards comfort and serving others. One of our earlier posts discusses in detail about the various sectors of the hospitality industry. It is a multitrillion-dollar industry majorly depending on disposable income and the availability of leisure time. A hospitality unit contains multiple groups such as facility maintenance and direct operations contributed by servers, housekeepers, kitchen, workers, bartenders, management, marketing, human resource, tour guides just to mention a few. The character of every hotelier should not only be impressive but should also surpass the expectations of the customer. And that isn’t all – utmost professionalism, excellent interpersonal skills, and organisation are also called for. Some of the ancient hospitality customs can still give goosebumps to all hospitality professionals and travellers. The ancient hospitality customs remind us of what the hospitality industry is all about. To answer the question that what is the hospitality industry, we would also need to dwell on the historical background of the hospitality industry. So, let’s discuss the history of the hospitality industry in a nutshell. The hospitality industry is a mammoth of a sector raking in trillions of US Dollar in revenue each year. And, travellers always seek hospitable places to kick back and relax, away from all the hustle and bustle of everyday routine. Although most modern hotels feature clients` experience and conveniences such as television, minibars, en-suite showers, they fulfil the same purpose as ancient inns but with improved services. Here is a quick tour of the history of the hospitality industry. The industry itself dates back to the ancient Greek times and even before that. In this epoch, the hoteliers were always hospitable as they felt it was in accordance with their well-being and those of others. 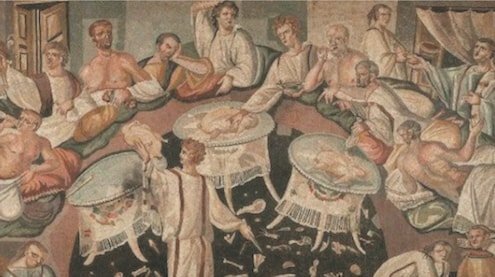 It was around 40 BC according to experts when hospitality services for social and religious gatherings were quite a common phenomenon. It was about this time that Greeks came up with thermal baths that were designed for recuperation and relaxation. These thermal baths are said to be the origin of what we know as modern day Spa. There are enough pieces of evidence now that the historical background of the hospitality industry will pull us back to prehistoric times. Then came the Romans who provided accommodation for travellers on government premises. Here, comfort and entertainment were the names of the game. When the Roman used to travel, they sought pleasure leading to the development of early inns. This was the era that started with English travel and excursions when they built inns as their private residences. The nobility used to stay in the monasteries. Then came into existence the caravanserais that provided resting destinations for the caravans along Middle Eastern routes along with the monasteries and abbeys. These places became the first establishment to offer refuge to travellers. The Persians along the caravan route developed inns and post houses. These were used to provide accommodations and nourishment to both soldiers and couriers. By Marco Polo’s time of his journey to the Far East, he estimated that there were 10,000 such post houses located 25 miles apart. He described them as “suitable for a King” hence giving a great significance to always making your visitor want more after your service. 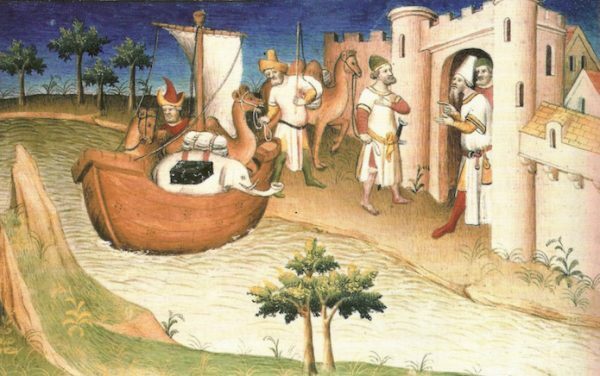 Marco Polo initiated through his memoirs what we know as travel diaries of today. His book helped a lot of others to explore the world. This gave rise to what we know as modern-day customer service as an essence of hospitality. One of our other articles discusses more on service in hospitality industry. In 1282 in Florence Italy, the great innkeepers integrated an association with the aim of turning hospitality into a business in its own right. They had to garner a permit to import and sell wine which later led to the spread of hospitality elsewhere. Then comes the period of the 16th century, when the demand of the inns and taverns increased multiple folds. 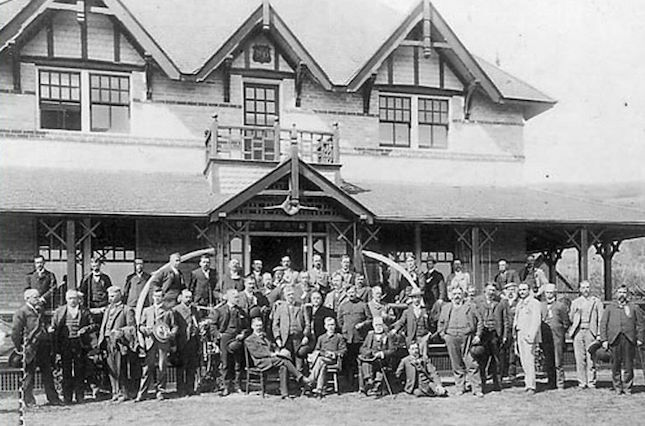 The first hospitality establishment as a hotel was built around this time. It was named Hotel de Henry or Hotel de Salm and was built around 1788 (names have changed over the years). However, the first hotel tag goes to Koshu Nishiyama Hotel in Japan which is said to be over 1300 years old. The hotel is still accepting guest and is run by the same family for several generations. These hotels created the trend and world followed the model and started creating eateries and places to rest and sleep. Like England and New York made taverns, Pennsylvania made inns, and the Southern colonies formed ordinaries. The French Revolution changed the features of culinary and future of the hospitality industry. Then came the era of Chefs like Escoffier and M.Boulanger who took the culinary standards to altogether a different level. We saw the beginning of luxury Hotels and resorts from the nineteenth century. London had its hotel named as Savoy Hotel and New York had Delmonico. These created stellar luxury and service standards. What followed was a flurry of great hotels, a lot of which are still creating new standards of hospitality. These largest hotel chains seem to have answered well the ‘what is hospitality industry’ question over the years. The aspects and features of the hospitality industry have undergone a massive transformation over time since the Colonial Period. There were two world wars that disrupted the growth of hospitality in the twentieth century. What ensued after the world wars was growth in dark tourism or ‘Thanatourism’. History of Hospitality industry also shows us some of the darker sides as the industry goes on to absorb all shades of tourism. 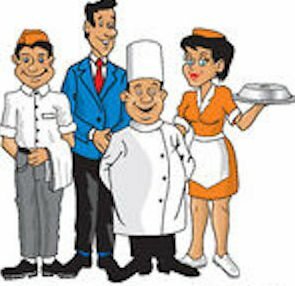 Hospitality industry as an organised industry was formed in the 1950s or 1960s when a proper structure was formed. The industrial revolution which began in the 1970s facilitated the construction of hotels in Europe, England, and America with the French and Italian veterans following suit. 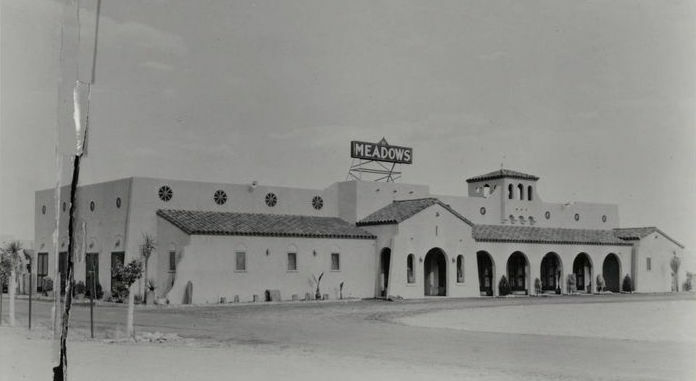 Here’s a look at the Meadow’s club built in the early 1930s as the first Hotel and Casino in Las Vegas. Nowadays, architects, engineers, designers, developers, and managers are conscious of the taste of the guest according to their wishes. Today’s hoteliers analyse new trends to define better criteria and provide modern standards to improve the quality of life in hotels. The industry has developed a lot. The casual dining has seen growth, as well as the chain of hotels, has increased. With brands like Hyatt, Hilton, Marriott, Starwood, Ritz etc. the hospitality industry seems to be doing quite well. Thousands of hotel rooms are in pipeline and transportation for travel has taken a leap into the future. The tourism industry has a new era of better growth and innovation. With the future growth in the vicinity and greater interest of people in travelling, the future of hospitality industry looks bright. In this post, we have tried to answer the question that what is the hospitality industry. If you are looking for the historical background of the hotel industry, please check our article on Hotel Industry Overview. 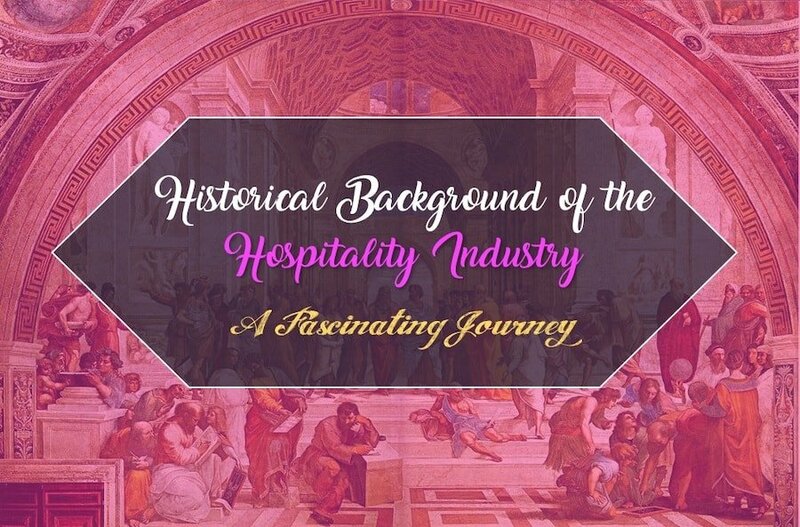 We drove you down the memory lane looking at the historical background of the hospitality industry. Looking at the definition of the Hospitality industry in layman’s term we can relate the following big categories in this industry. And travelling for the tourists as well as the residents. The story would not be complete without mentioning the contribution of hospitality professionals who make this industry special. The hospitality industry is all about their employees. They are the internal customers after all. While the world is shifting to machines, hospitality industry ensures that we keep appreciating nature and human. The workforce is the enabler that provides the real business to the industry and services to remember. The beauty of the hospitality industry is that they can employ anyone. Yes, you got that right, the hospitality world accepts and invites people from all industries, countries, races and genders with varied experience. The positions can be different, and they may include executive managers, cooks, cleaning staff, gardening, security, waiters, bellhops, guest staffs, and every other position you might think of. Now there are increased goals and objectives that are met by the industry to become dynamic in today’s cut-throat competition. The hospitality industry has some prominent time periods in which it has taken a new challenge every time to serve the nations and the global travel community. While it is easy to assume that hospitality as a norm always existed, what we discussed in this post is the establishment and growth of what we know as the hospitality industry of today.